It’s unlikely you will become a millionaire selling poultry eggs. However, you should be able to generate a small income that can at least cover the costs of feed. 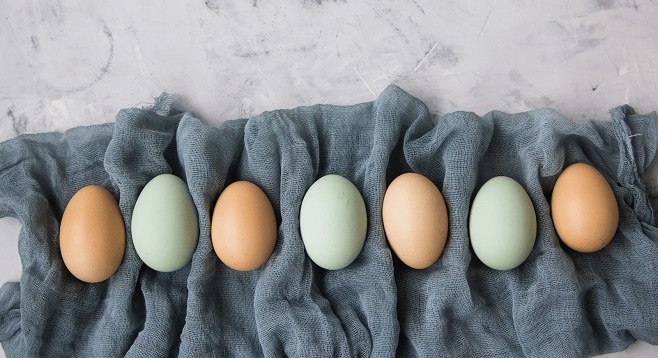 What follows is a basic primer on how to sell your eggs, whether you have a small amount every week or if you have a larger amount to move along. Remember, all countries and municipalities usually have laws concerning what you can sell and where. Although we will briefly touch on this, it’s up to you to find out what you need to do in your area. Firstly and most importantly, your eggs must be clean. Poop and dirt on egg shells is not acceptable to the general public or the USDA – although your Aunt Maud may turn a blind eye and declare it’s natural! Friends and neighbors will probably turn a blind eye to those slightly misshapen eggs too, knowing that they are fresh and healthy. Some folks won’t and will dismiss these ‘oddities’ as not for consumption. As far as I can tell, there is no law against selling ‘visually unappealing’ eggs if your customer doesn’t mind. Depending on where you live, you may or may not have to clean your eggs prior to sale. In the UK, eggs do not have to be cleaned unless dirty and can be sold un-refrigerated. In the US, eggs have to be cleaned prior to sale and must be refrigerated. Both of these approaches are to mitigate the possibility of salmonella in the eggs. The UK/EU vaccinate hens against salmonella. The USDA prefers to rely on clean eggs and careful handling to reduce the chance of contamination. The UK started vaccinating chickens in 1997 and over succeeding years saw the cases of human salmonella drop a whopping 96%! The FDA has been considering this idea for several years now but believes the data is inconclusive. 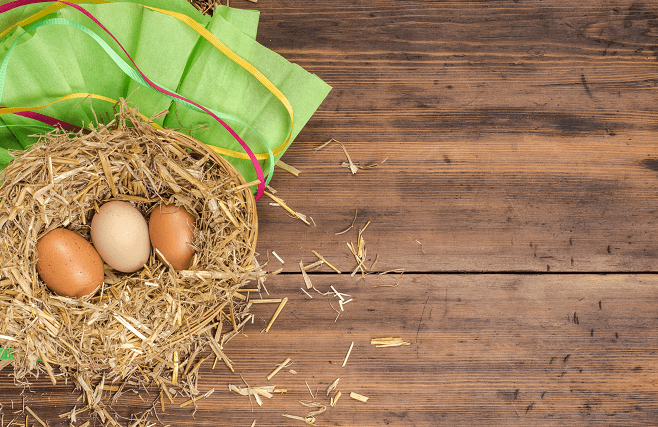 The easiest way to keep the eggs clean is to keep the nesting boxes clean. Check them every morning, replace nesting material as needed, removing dirt and poop balls as you go. Collect eggs frequently to prevent soiling and damage. If you have a couple of hens that like to sleep in the nest boxes at night, it’s time for them to graduate to the roosts – shut off the boxes at night if needs be and park them on the roost. The egg industry has defined what is ‘acceptable’ to the public in the size and shape of eggs and many consumers believe that all eggs are exactly the same. Anything different is frowned upon and considered ‘inferior’ – we know differently though! Industry eggs are graded and for the most part only ‘grade AA’ eggs make it to the supermarket for general consumption. Grade ‘A’ are considered ‘acceptable’ but of lower quality. 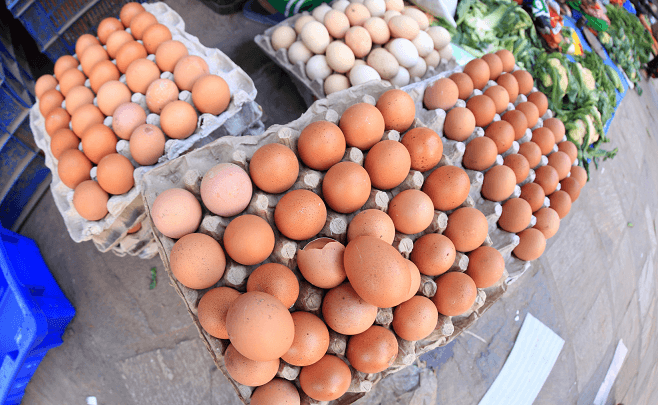 Grade ‘B’ are eggs that may have stains, irregular shape or shell quality. These are sent to foodstuff manufacturers. ‘B’ eggs are not sold to the general public because they don’t measure up to the industry standard. You do not have to grade or size your eggs unless you intend to sell commercially. Farm gate sales are exempt from grading. Also, you do not have to fill the carton with eggs of the same size, you can vary the size with two large, two medium and two small for instance. You cannot use ‘brand name’ egg cartons since you are not selling the ‘brand’ eggs. However, new egg cartons can be purchased inexpensively from your local farm or garden store. I will re-use cartons that are clean, not broken or damaged and non-soiled erring on the side of caution. If you plan on making this a regular occurrence, you might consider putting a label on the carton with your name, address and phone number. This way people remember where they bought those delicious eggs! Also don’t forget to put a ‘best before’ date on the carton so folks know the eggs are really fresh. Where Can You Sell Your Eggs? You need to know who your potential customers are. If you have a small amount of eggs to sell weekly, the customer base may just be friends and family. If you have a neighbor who is a bit ‘iffy’ about having hens next door, bribery usually works so ‘donate’ them some eggs once every couple of weeks. They may decide that the eggs and hens aren’t so bad after all and start to buy from you! But, if you have more eggs to sell, you will need to start looking further afield. Check around your area to see where you may be able to sell to. Camp grounds, local farm stores, farmers markets are all good places to start your sales pitch. Remember, if you sell beyond the ‘farm gate’ you will generally need a license. However, if the owner of the campground comes to you – you will not need a license! In my experience though, the best advertising is of course word of mouth. If your eggs are tasty, reasonably priced and local, you will probably have more customers than eggs, especially in the winter months. Before you start, think about other roadside stands you have seen. Would you have bought from them? Why did you buy from them – more importantly why didn’t you buy from them? A tatty makeshift stand that’s held together with a couple of nails and duct tape is not going to attract customers! People will notice you can’t be bothered with a ‘good appearance’, so what else can’t you be bothered with? 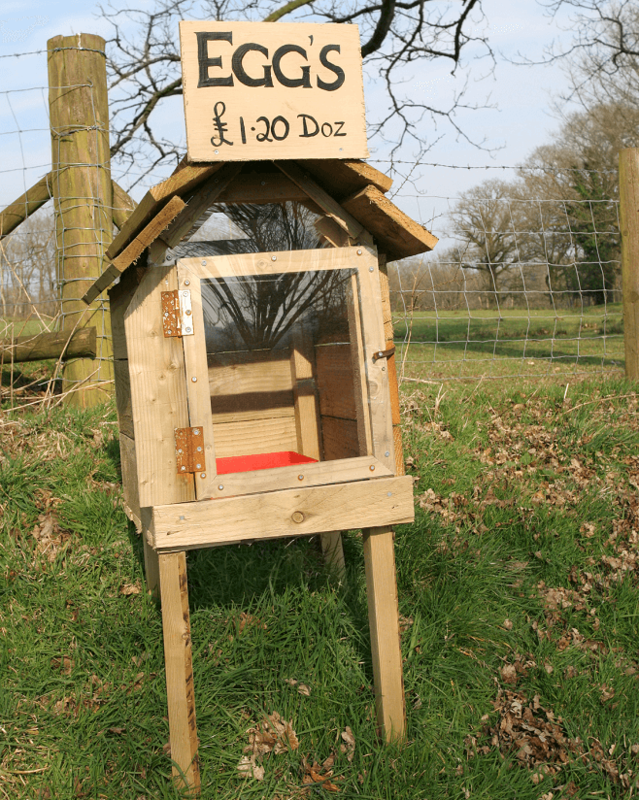 You can either build your own stand or use a small garden shed for the task. Unless you have many other things for sale, a small home-made stand will probably be sufficient. Make it simple and fitting for your needs. Freshly painted frame, good presentation of your products, even some whimsical decorations all help to attract folks. 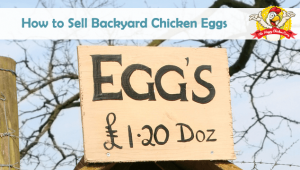 You need to put some time and effort into presentation – even if it’s just a sign saying ‘eggs for sale’. If you are in a position to be able to have folks come to the door and ask for eggs, you need to ensure you are available at all reasonable hours. If you want customers to come to your door, make sure you say something like ‘knock on the back door’ – it gives the idea that they are welcome and also gives direction! No one wants to be poking around looking for someone to buy the eggs from! A poster showing your hens and the pasture etc. will let people know your hens are free rangers. A couple of close-ups of your girls will likely bring a smile to faces and they will remember you for the future. Make sure your products and prices are clearly displayed so there is no room for confusion, always check your spelling. If you rely on peoples’ honesty and are using an honesty box, do it cautiously. Ensure your money box cannot be broken into and bolt in to the stand. Sadly, people can and will take not only your product but your cash too. How Much Should I Sell My Eggs For? Many consumers these days are aware of the terrible conditions in which hens are kept in the commercial world and will buy local, free range eggs whenever possible. Pricing your eggs to sell can be tricky. If you take into account all your expenses (feed, housing, water, electric etc.) the eggs may be too expensive for many folks, especially when they can buy a dozen much cheaper at the supermarket. I generally sell mine to cover the cost of their feed. Pricing will also have to take into account the local availability of your product. If you live in town, folks may pay more for fresh laid eggs. In some rural areas where almost everyone has chickens, you may have to sell them cheaper. Markets fluctuate, so keep your eyes open! If your customers live a short distance away from you, they may appreciate ‘free delivery’ of their eggs – it really personalizes the service. If you raise bantams, quail or ducks there are specialty markets out there for you. Bakers love duck eggs – if you have never baked with duck eggs I highly recommend it!! You will have to do your homework to find these places, but it can be well worth it in the long run. If you can get a small local restaurant or bakery to buy all your eggs that is a bonus and a good start for your small business. Finally, we need to touch on the legalities of selling eggs to the public. In a nutshell, small private sales from your home are typically exempt from licensing. If you wish to sell at farm markets, CSAs’, local stores, then you need to be licensed. You also need to be inspected by the USDA and have your facilities inspected yearly. Each state in the US is different and the UK and Canada also have licensing systems in place which you will need to comply with (if you sell there). It can be frustrating to plow through the rules and regulations, but to avoid problems it is well worth the effort. If you do plan on becoming a business you will also need a business license(s). These are usually available from the municipal building; the cost varies from State to State but is usually quite reasonable. For example, in NY state you will only need a business license if you have over 1000 dozen eggs to sell per year! Links to your local state requirements can be found here: www.nerous.org. In general, the rules are not too onerous for the backyard seller, it only gets complicated once you decide you want to make it a business. Selling some of your eggs can be a great way to cover the cost of your feed. This way, all the eggs that aren’t sold you get for ‘free’. An average fifty pound feed bag costs $15 here and will last thirty hens around two weeks. If you can sell your eggs at $3/dozen you’re going to need three dozen eggs/week to cover the cost of the feed. Every penny helps and if you stash the cash in a separate container, you will be pleasantly surprised at how quickly it adds up! Do your research, enjoy making your farm stand and enjoy the pocket money generated by your ladies. Who knows? You might make enough to buy some more chickens! I sell my eggs for 4.25 a dozen. I encourage people to visit and tour our little farm where we have 4 goats, several bunnies, quail, hens, roosters, kitties. I give an average of 1 tour a day throughout the year or around 350 tours in a year!. This is how I promote the eggs. People, particularly people with kids, love to visit! I also sell quail eggs, baby bunnies, rabbit manure. Also, I take in animals to board (goats, chickens, rabbits, and whatever else someone wants). I plan to rent out my goats this summer for 15 dollars a day. People all around want them. I encourage people to bring food for the goats and chickens, which I always inspect before feeding. 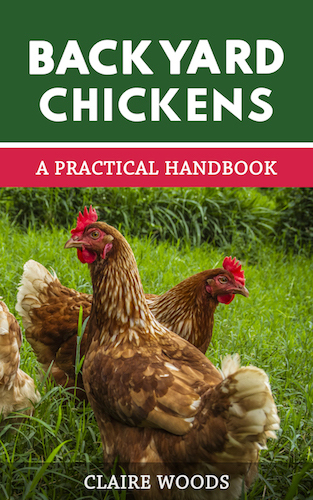 I barely break even on my costs for the farm, but by using other ways to give the hens nutrition they need (food brought in and raising mealy worms, and other strategies), I predict making a small profit this year. wow…. i never expected to make a profit from my 10 hens, all i wanted is the unconditional love they give me every day…. when they cooo in happiness i feel proud to be their keeper.. i love my chickens eggs or not! 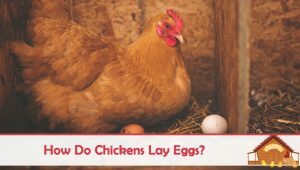 Am I overfeeding my hens? A 50 lb bag of feed for 16 hens and one roo lasts me about 10 days! Thank you for any information! $3/dozen. I’ve sold a few dozen to co-workers who don’t request more. It’s the price they object to paying, but I don’t care. People just want something for nothing. Has anyone succeeded in resolving pendulous crop in a hen? I’ve tried a few methods, but to date, the condition persists. I am isolating her within the enclosure and restricting her intake, but don’t want to starve her…how much layer mash should she consume in one day to maintain a healthy weight? At night, before putting her in the coop with the other hens, I remove all food and grit or she will tgorge herself on anything she finds. When I brought her inside the house to fast her she ate her own droppings and the liner paper. She’s only a year old. I’m not interested in culling her. Even my chicken vet who at no small cost removed a fist sized grass/corn/grit/feather impaction last winter told me I can replace her for a few dollars. If she can live with this condition without suffering by our implementing a few modifications, then we want to do so. Any life saving suggestions, anyone? Most Domesticated ducks can’t fly. We have Pekin, Cayuga and Khaki Campbell, and they cannot fly. i have two chickens i get an average of about 8 eggs how much should i sell the eggs for? Tough question to answer. Are they organically fed? Free range? Color of egg? I would check your local craigslist to see what the average price is. Are you selling with a little for sale sign or on craigslist. If its a for sale sign and drive-bys you can sell at a premium.